I borrowed this book from the library with plans to read it and write up a review. Unfortunately I cannot in good Faith offer you a review. What I can offer you is a rant. 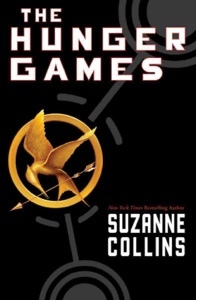 I am quite aware that due to the success of The Hunger Games trilogy, YA dystopian has become a widely published genre. I have read a good number of these books and enjoyed them. They are different enough from The Hunger Games. This book on the other hand was not. I only made it to page sixty before giving up, hence the reason I cannot review it. I have only ever given up on one other book in my life and I was forced to add a new section to my goodreads account entitled 'Gave-Up-On'. 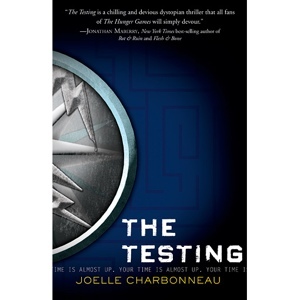 Not only the plot, but even the details, were exact replicas of The Hunger Games. Based on what I read both the literary world and physical world in the book were exactly the same. The Capitol was switched to Tosu City, the districts were switched to colonies, and Panem was switched to The United Commonwealth. Children are chosen in a Public ceremony called graduation instead of the tribute choosing ceremony. They go off to the capitol, I mean Tosu City, and are forced to fight and compete against one another with deadly consequences. Even the cover looks painfully similar with the blocky font and intimidating symbols. I have nothing to say about the writing, the characters, or anything really because I simply couldn't get past the story. My bottom line is this: I have already read this book. Disclaimer: As I have already stated I did not in fact read this whole book. For all I know the plot totally changes on page 61, but I doubt it. It may also in fact be a literary masterpiece, but I will never know. If you have read this book in its entirety please feel free to leave a comment and let me know what you think.